What are the main characteristics of a country-style living room? 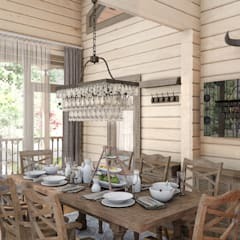 Decorating a home in country style is one of the easiest ways of designing a graceful and welcoming space. Country style homes hardly need an elaborate designing. 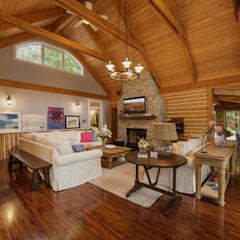 In fact, one of the hallmarks of country living room is its simplicity of décor. 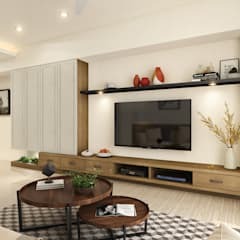 While planning the interior of a country living room, always choose environment friendly materials. 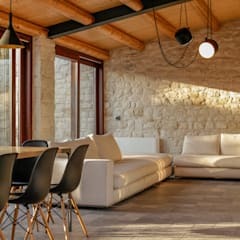 A country home looks ravishing under the influence of natural wood, stone, bamboo, cork and other such like materials. Try to design with locally available materials. This will also reduce the cost of decorating your living room. Don’t choose furniture with too refined style. Gilded furniture, laminated furniture or items with glossy finishes don’t suit the interior of a country home. Choose a colour scheme that looks relaxing and bright. 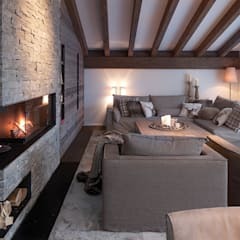 Neutral tones, muted shades of yellow, beige, orange or earthly brown look charming in a country living room. Maximise the availability of sunshine in the room. Install large casement windows, preferably with wooden frames. Try not to opt for heavy curtains made of such fabric as silk, dupioni, satin etc. Window treatments made of muslin, cotton or linen are more suited to a country style interior. 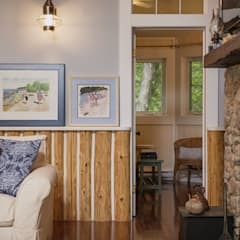 What materials should I choose for my country-style living room in Canada? 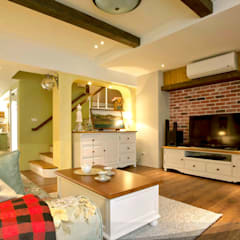 Country living room can be decorated with a range of eco-friendly materials. Natural wood plays a prominent role in a country home. 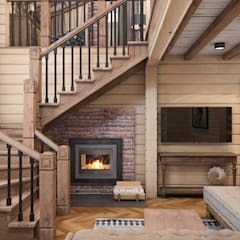 You may include natural wood in your scheme of décor in a variety of ways. 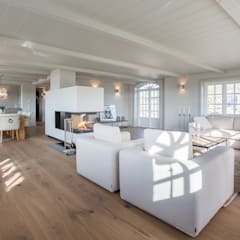 Opting for wood plank flooring would be an excellent way to decorate a room like this. Choose roughly hewn timbers of cedar, maple, oak, pine or birch for the flooring and wall panels. Every wood type has a special tone and texture. 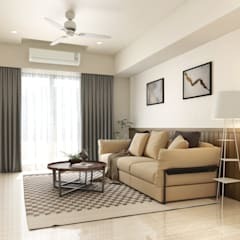 Including them in your design will help you plan a living room with a welcoming feel. You may also introduce furniture made of solid wood in this space. 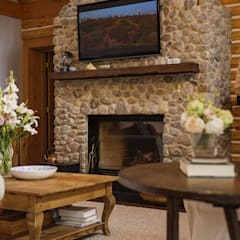 Decorating the room with honed stones is another way to designing a cool country living room. You may use granite, travertine, sandstone or limestone tiles for flooring. Decorating the feature wall with stone tiles or river bed pebbles is an ingenuous way to stylising the room. Consider hiring expert floor installers to design wood or stone flooring with a rustic effect. You may also utilise brick, terracotta tiles or ceramic tiles to decorate the floor and walls of the room. 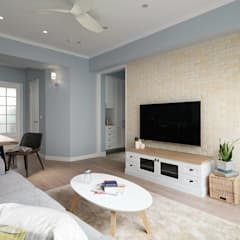 Rustic terracotta tiles look chic in a country style home. Choose wall tiles to decorate the walls. Unlike floor tiles, wall tiles are lighter and manufactured to cover the walls. On the other hand, floor tiles have a slip proof design which is useful for decorating a safe and age friendly home. 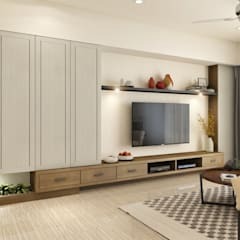 Which articles of furniture and décor should I buy for my country-style living room? Wicker or wooden furniture is most preferred for a country living room. They give the room a comfortable and genial feel. Instead of opting for sectional sofas, buy simple two to three seater sofas. Place a couple of armchairs by the side of the sofa. A coffee table made of wood should be placed in front of the sofa. Avoid buying coffee tables with a metallic effect or glass top tables. You may recycle one of your old tables to decorate a graceful living room. Choose simple corner tables and floating shelves to optimise the storage space. You may choose wallpaper with floral designs or traditional toile wallpaper to decorate the walls. Alternatively, decorate the feature wall with wallpaper and paint the other three walls with solid colours. Don’t cover the flooring with wall to wall carpeting. 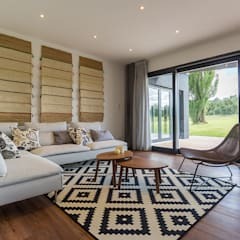 Opt for hand woven mats or organic area rugs instead. Choose lighting features with a rustic feel. Contemporary designer lighting fixtures are not suitable for this space. Fixtures made of wood, wicker or wrought iron can be chosen for this space. You will need a combination of fixtures to illuminate the entire room. 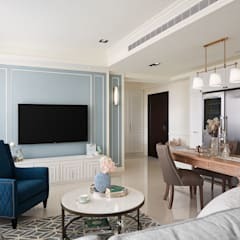 Avoid such features as ambient lighting and opt for simple pendants, table lamps or floor lamps. Decorate the space with potted plants and fresh flowers. Indoor plants like Tilandsia, peace lily, rubber fig, Aspidistra elatior thrive well in Canadian climate. You may choose any of these plants to decorate the room. Buy ceramic, cast iron or terracotta planters to stylise the space. Many of these plants also help reducing the Volatile Organic Compounds in the interior atmosphere. This comes as an additional boon for you. Use wood framed mirrors, handmade tapestry, scroll paintings or traditional wall art to deck up the walls. Mirrors tend to make a small room look more spacious. Instead of using mirrors as wall hangings, you may use stand mirrors to decorate the corners of the room. Stylise the sofas with cosy cushions and handmade throws. Knitted throws would also look great in a country style living room. 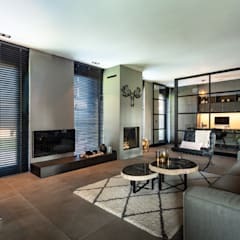 Surf through homify’s massive collection of country living room images and choose the decorating ideas that you find most inspiring. Select those styles that seem to be suited to the interior of your home. Don’t clutter your room with too many objects of decorative items. Old paintings depicting pastoral scenes could be a potent source of inspiration for you. Soak in the inspirations from your journeys to the distant corners of the country. Don’t hesitate to discuss your options with an interior designer experienced in decorating a country home. 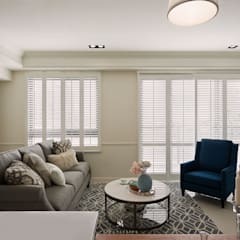 You will be able to design a country living room by spending between $1200 CAD to $2000 CAD per square foot.